As president of Indianapolis-based Strategic Capital Partners, Richard Horn’s primary focus is to expand acquisitions and development in the company’s targeted markets, including Indianapolis. Horn, a Carmel resident, joined Strategic Capital Partners in 2012. 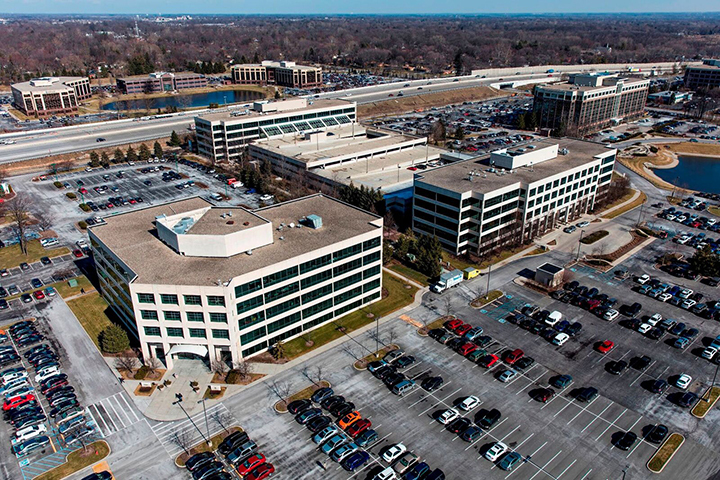 In August, SCP and Rubenstein Partners teamed to acquire Parkwood Crossing, an eight-building, 1.2-million-square-foot office campus in Carmel, just north of 96th Street and Meridian Street for $162.9 million from Duke Reality. Horn had worked with SCP founder Gene Zink at Duke Realty for many years. Both were instrumental in securing the Parkwood Crossing acquisition. Duke Realty developed the Parkwood office park between 1989 and 2005. Horn joined Duke in 1984 after graduating from Indiana University Law School. He left Duke in 2002 to form Horn Properties. Horn said the plan is to build the amenities center in 2017. This is one of the largest acquisitions SCP has been involved in, Horn said. “We felt we had some advantages as far as knowledge of the market and the property,” Horn said.